129) Here I am hanging out with a fine collection of friends on a sunny downtown sidewalk. 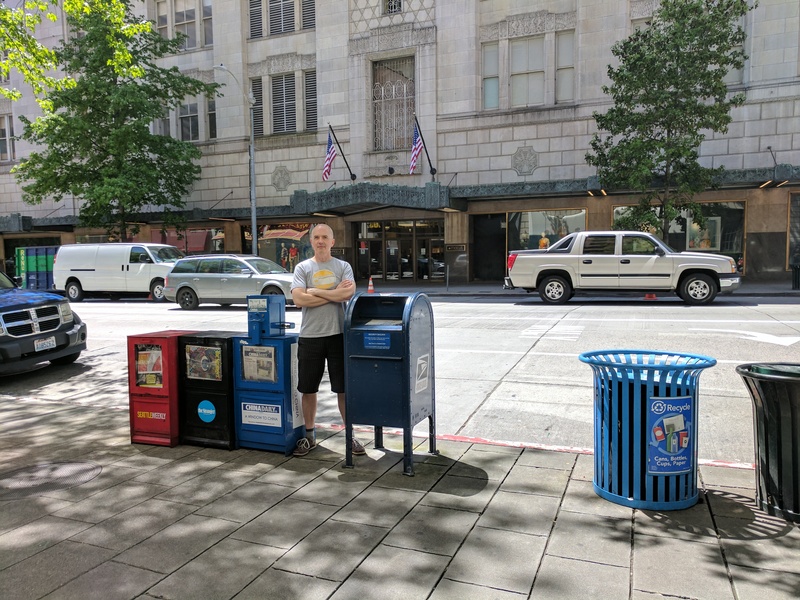 Over on the left we have the McPaperbox triplets, Weekly McPaperbox, Stranger McPaperbox, and China Daily McPaperbox. You already know my BFF, Maily McMailbox. Then off to the side we have Recycly McCan and RegularTrashy McCan. Yeah, we have a good time together.